ROAD TOWN, Tortola, VI - The Virgin Islands’ (VI) House of Assembly (HoA) will meet on Tuesday November 27, 2018, at the Road Town, Tortola, Chambers. It will be the first time since 2003, where the Opposition would have an increased presence of five members. It is also the first time that the Opposition benches, will field three political parties. However, at the November 27, 2018, Fourth Sitting of the Fourth Session, of the HoA, both of long time Opposition Members, Honourables Andrew A. Fahie (R1) and Julian Fraser RA (R3), have a series of questions for the government’s front benchers. Meanwhile, Opposition Member Fraser, has tabled on the Order Paper, questions directed to Deputy Premier and Minister for Natural Resources and Labour, Dr the Honourable Kedrick D. Pickering (R7). Oher items on the Order Paper for tomorrow’s sitting include the introduction and First Reading of Bills aimed at altering the Police (Amendment) Act, 2018 and the Criminal Code (Amendment) Act, 2018. Dr Smith is also slated to move the Second and Third Readings of the Bill entitled, “Merchant Shipping (Amendment) Act, 2018”. xv) Statements of Reallocation Between Votes – Reallocation Warrants Schedule No. 1 of 2009, Reallocation Warrants Schedule No. 1 of 2010, Reallocation Warrants Schedule No. 1 of 2011, Reallocation Warrants Schedule No. 1 of 2012, Reallocation Warrants Schedule No. 1 of 2013, Reallocation Warrants Schedule No. 1 of 2014, Reallocation Warrants Schedule No. 1 of 2015, Reallocation Warrants Schedule No. 1 of 2016, Reallocation Warrants Schedule No. 1 of 2017; and xvi) Office of the Auditor General – Special Report Elmore Stoutt High School Perimeter Wall. a) The Premier and Minister of Finance to give notice that, at a later stage in the proceedings, he would seek leave to move the Motions standing in his name under Item 8(1)(i) through (iii) on the Order of the Day. b) The Leader of the Opposition and Member for the First District to give notice that, at a later stage in the proceedings, he would seek leave to ask the Questions standing in his name under Item 7(i) through (iii) on the Order of the Day. seek leave to ask the Questions standing in his name under Item 7(iv) on the Order of the Day. iii) If yes, provide a listing of all unsettled claims. ii) A copy of each contract/agreement for the consultants indicated on the list in (i) above. Madam Speaker, would the Premier and Minister of Finance please inform this Honourable House, to date, of all agencies or persons acting as collecting agencies on the behalf of the Government of the Virgin Islands that were engaged or contracted by his Government from December 2011 to present? iii) If the Central Tender Process was used, and if not why not? Madam Speaker, would the Premier and Minister of Finance please inform this Honourable House of all agencies or persons acting as collecting agencies that were engaged or contracted by each Statutory Body and wholly owned private companies of the Government of the Virgin Islands from December 2011 to present? iii) If the Central Tender Process was used and if not, why not? Madam Speaker, would the Premier and Minister of Finance please inform this Honourable House of the amount drawn down, to date, from the $65 million dollars CDB loan approved in the House of Assembly in December 2017? ii) State the name of the bank in which the drawn down funds have been deposited? 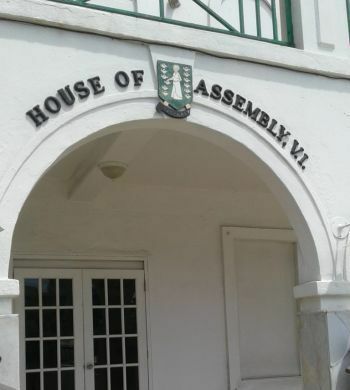 Madam Speaker, would the Premier and Minister of Finance please inform this Honourable House if all government and statutory bodies projects to be charged to the $65 million dollars CDB loan will be conducted in full and complete compliance with the Virgin Islands Recovery and Development Agency Act, 2018 that was recently passed in the House of Assembly? i) If not, why not? ii) From (i), above please list the projects? Madam Speaker, would the Premier and Minister of Finance please inform this Honourable House, to date, of the total interest expense billed and / or paid to date by the Government of the Virgin Islands on the $65 million dollars CDB loan since being approved in December 2017? Madam Speaker, would the Premier and Minister of Finance please inform this Honourable House of the current procedures to be followed prior to the drawdown of funds from the $65 million dollars CDB loan, and state? i) The names of the offices or officers empowered or authorized to instruct drawdowns? ii) What is the total interest paid, to date, by the Government of the Virgin Islands on the draw down amount? i) State what agreement has been made for the return of the current lessees? Madam Speaker, would the Minister for Communications and Works please state for this Honourable House, to date, both the approved budgeted sum for the Georgie Hill project inclusive of commitments for land payments; and further, to date, provide a comprehensive listing of all contracts, purchase orders, and land payments issued for this project by names, amounts and purpose? Madam Speaker, would the Minister for Communications and Works please inform this Honourable House what date will the West End/Sopher’s Hole Ports facility be reopened to accommodate ferries and their passengers coming from the United States Virgin Islands? Madam Speaker, would the Minister for Communications and Works please inform this Honourable House when the public road approaching the West End/Sopher’s Hole Jetty will be repaired and resurfaced? Madam Speaker, would the Minister for Communications and Works please inform this Honourable House when the Zion Hill public road on the northern and southern sides will be repaired and resurfaced? Madam Speaker, within the last three years, would the Minister for Communications and Works please inform this Honourable House of the total number of contracts/works issued by the BVI Ports Authority that required the BVI Ports Authority Board’s approval but did not receive such approval? ii) List each contract/work order, its respective amounts, the contractor for each, the date each was issued, and whether or not the tender process was used fo reach, and if not why not? i) The date each project was submitted? ii) The date Cabinet approved each project? iii) The projected cost of each project? iv) The commencement date of each project? v) If the tender process will be used for each project and if not, why not? And if yes, describe the process to be used. i) State the commencement date when each Government owned recreation facility in the Territory will be repaired? Honourable House if the certificate received upon successful completion of the G.E.D. will be recognized by his Ministry and the Government of the Virgin Islands to have the same value as the school leaving certificate of the Virgin Islands? ii) If yes, please explain? a) The current number of Work Permits issued to skilled workers since Hurricane Irma? b) How many family members accompanied these skilled workers? Madam Speaker, could the Deputy Premier and Minister for Natural Resources and Labour please provide a breakdown of the relationships, spouse, child etc. and indicate how many have Work Permits, and how many are attending school. (iii) The Premier and Minister of Finance to move a motion for the Second and Third Readings of the Bill entitled, “Merchant Shipping (Amendment) Act,2018”.